Selling software to accountants, auditors and Chief Financial Officers (CFOs) takes accuracy, precision and software quality to an entirely new dimension. Having worked at a start-up selling hosted accounting and finance applications to small and medium businesses, I’ve seen first-hand how demanding these professionals can be. And rightly so, the system of record they manage keeps their businesses financially strong and growing. 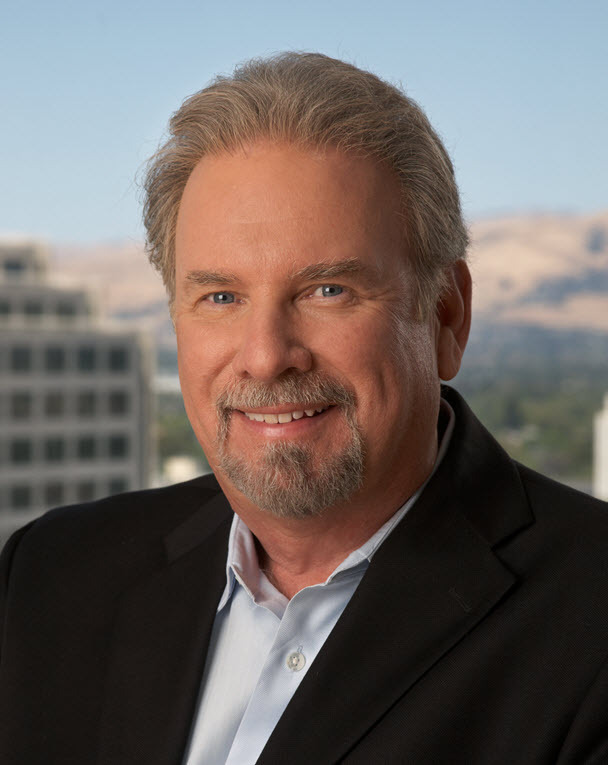 Intacct is one of the companies I’ve tracked for the last few years in this area, and I recently had a chance to speak with their CEO, Robert Reid. While there are many cloud financial management and accounting companies creating interesting products and winning customers, Intacct is unique. Rob has infused a passion for customer centricity into the company along with a mindset of continual innovation in their applications’ user experience. Rob is a longtime veteran of the enterprise software industry, having served previously as CEO of LucidEra and previous to that, group vice president of Siebel CRM On Demand for Oracle Corporation managing the SMB sector. He also served as president and CEO of on-demand CRM innovator UpShot, where Rob grew the company tenfold before it was acquired by Siebel. He is also one of the executive founders of Documentum. You can find his LinkedIn profile here. What are the three biggest challenges you see to Intacct’s growth over the long-term and how will you and the management team address them? Our biggest challenge by far is finding great people. People who are curious, people who want to learn and continually grow while also being customer-centric. We’re looking for great people with these attributes and those who want to do rewarding, challenging work. That’s a high priority for us today. Second, we’re looking to add more partners who have expertise in accounting and finance to grow along with us and help customers anticipate what they need to do today and in to the future to deliver value to their organizations . Third, anticipating the growth of the business and being able to effectively plan for the pace and direction of change is critical to us. SaaS-based applications have proved themselves very well in small and medium businesses. How and why are small businesses adopting SaaS-based accounting and finance systems today? How is this going to change in the future? We’re seeing usability and excellent customer experience designed into cloud applications being essential for the growth of our business. In fact we’ve done intensive studies of how our customers can save time and be more productive with greater usability improvements, quickly released into our applications. Intuitive design of application workflows, in accounting and finance, is another key success factors we’re seeing today. This is leading to a consumerization of financial management systems. Accounting and financial professionals are after greater visibility into their financials. Analytics and modeling from an accounting perspective is also a high priority for our customers today. The 21rst century CFO needs to have these analytics and modeling tools with real-time data to do their jobs, and we’re very focused on delivering them. A critical success factor for any SaaS-based accounting system is the ability to integrate with 3rd party systems and also migrate legacy data. Can you speak to this aspect of your company’s product and service strategy, and what your plans are in this area going forward? Our architecture includes Open Application Programmer Interfaces (APIs) that simplify the complexity of integrating with homegrown, legacy and 3rd party databases and systems. Over the last decade we’ve fine-tuned these APIs, publishing them free for our customers. We’ve learned much from listening to our customers, continually fine-tuning APIs to stay in step with their needs. Our APIs are making it possible for our systems to have inbound and outbound data from systems throughout our customers’ businesses creating a reliable system of record. With SaaS it’s possible to accelerate the release cycles to any pace a company chooses. Right now Intacct is committing to four major releases a year. Are there plans to accelerate the release cycle and do more? We’re staying with four major releases a year out of respect for the change management aspects of our customers. Doing releases more often than that would force our customers to continually be educating their accounting, finance, reporting and services teams of new features. We do make tens of smaller releases a year to incrementally add features customers ask for. And our customers can choose to enable these features as they are added to our applications. We are finding that balance between agile development and quality assurance of configurable features, while striving to make usability and the user experience paramount. Much has been said regarding single tenancy and multi-tenancy. Can Intacct customers choose between these options? Is there a price premium for choosing one over another? We are exclusively multi-tenant as it makes the most sense for our customers economically. If a customer chooses a single-tenancy solution it takes a ton of time from an operations team to run it; so it ends up being a bad economic model for the company. Since the hardware, and resources aren’t being shared, a single tenet system ends up being the most expensive way to go. There is a tremendous amount of cloud washing going on out there, where software companies and providers are trying to put a glow on old technology by calling it single tenancy, when it is really just a hosted version of that old application. It is important to choose a cloud system that was built from day one to be in the cloud and deliver tremendous value. Do you partner with a cloud provider or own your own hosting center? Are your long-term plans to own your own data centers? Our global hosting partner is Savvis. We manage the servers and have complete control over our Service Level Agreement (SLA) monitoring and reporting. We’ve also provided every customer with 24/7 transparency into our applications’ stability and reliability. What percentage of your sales are from North America relative to Europe and Asia? How do you see this changing in the next three years? The majority of our customers are located in the United States, but have on average five locations around the world.. Our multicurrency, multientitiy, and consolidated roll-up features are heavily used by this group of multinational customers. Intacct has done well selling to accountants and financial professionals, a community known for valuing accuracy, auditability and precision. How has Intacct been able to both evangelize cloud computing and cloud-based accounting systems to this pragmatic, at times skeptical market segment? We’re selling to the 21rst century CFO really well, stressing the need to have real-time visibility into operations and the ability to define metrics and modeling of current and future financial performance of their business. As we’re selling them more than a system of record, but a system of engagement. Our approach is to show how they can accelerate their growth as a business with better insights for all of the knowledge workers into their overall performance. In 2009 the American Institute of Certified Public Accountants (AICPA), and its subsidiary, CPA2Biz, chose Intacct as the only preferred provider of financial applications to CPA professionals and AIPCA members. Intacct was given an exclusive five year agreement that was extended for another three taking the agreement to at least 2017. In addition, the International Federation of Accountants (IFAC) has chosen Intacct as their internal accounting and financial management application as well. Much has been said about the role of trust in enterprise software in general and cloud-based applications specifically. The AICPA and IFAC have given us the chance to be the trusted solution to customers as a result. You’ve often said that Intacct is very focused on getting customers back their time. How are you designing in greater usability and performance improvements to Intacct’s applications to make this happen? We have a feature called dimensions, which gives our customers the flexibility to create and track the metrics that are specific to their business. One of the most compelling cases of the value of dimensions is the example of a airplane leasing company that was able to grow their business 30% faster each year based on the increased insights gained. Using our dimensions capability, the plane leasing company was able to track plane leasing data, track how many times a given plane had been leased, compare costs of other planes and also track the lifetime value of the planes as well. One of the most fascinating aspects of this analysis is the finding that over time planes initial values drop and then increases in value, just like a Ferrari. Using dimensions gave the company the ability to analyze their data in new ways and, in turn, manage their assets more effectively and profitably than ever before. The Intacct Accountants Program is one of the more unique in the industry. Can you discuss how your company was successful in recruiting partners, and what your plans are for 2013 and beyond with this program? This is one the top three strategic initiatives we continue to invest heavily in. We’ve been able to build a successful program by concentrating on partners with strong accounting domain expertise, excellent command of billing and profitability analysis, and a broad base of accounting and finance expertise. Our alliance with the AICPA has also helped in making our Accountants Program a success. Do you use personas as part of your product development, product management and marketing strategies? Can you comment on them briefly and how they are impacting your approach to product development and marketing? We use personas extensively throughout our development, marketing and selling strategies. Our personas include titles and roles, as well as problems and needs. We also have a Follow Me To Work Program which is invaluable in fine-tuning the usability of our applications. Intuit pioneered many of the advances in Follow Me Home research programs to fully understand customers’ needs. We have much of the original Intuit QuickBooks product management and engineering teams working for us today, focusing on how to continually improve usability and our customers’ experiences with our software.